GoDaddy is taking a big step in the web hosting community by launching their newest web hosting platform, Managed WordPress at WordCamp Phoenix. This new service is sure to have a significant impact on the almost 2 million current sites that are managed by GoDaddy as well as new customers that are in need of hosting. This is an extremely strategic move by GoDaddy, one of the world’s largest web hosting companies. This move will help them stay ahead of their competitors by listening to their customers and delivering a product that will meet their needs. What makes Managed WordPress so different? Previously, companies that use WordPress for their websites would have to spend their own time and resources to manage their site maintenance, security, and other factors. This sometimes would lead to slow page load times, especially during high traffic times, as well as security issues. Now, with the new Managed WordPress, customers will be able to spend their time on the more important things like creating content for their sites while the new service takes care of the rest. Since customers will no longer have to worry about all the technical details and finger points of running their own servers – for instance setting up their server or thwarting security breaches – Managed WordPress will create a whole new experience that hasn’t been seen before in the web hosting community. GoDaddy has created Managed WordPress specifically to increase and maintain speed and reliability, hoping to provide a better experience for their customers. 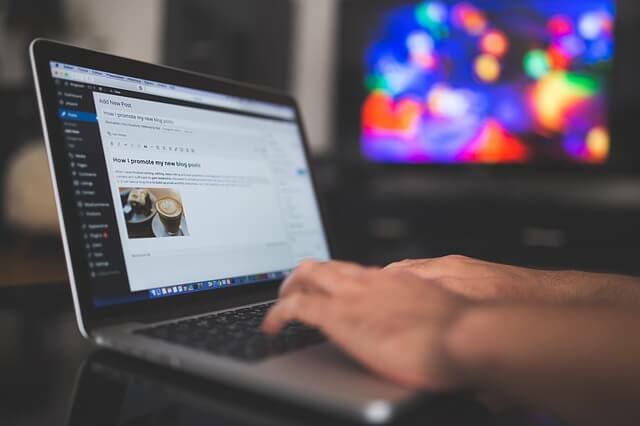 GoDaddy promises the new hosting service will now provide a way for customers to work with WordPress in a faster, more reliable way, using servers that are load-balanced and dedicated to WordPress, all while offering a 24/7 security team that will continuously monitor for any issues. Additionally, plug-ins are automatically updated, keeping sites safer and less vulnerable to security attacks. GoDaddy even took it a step further by providing extra site security with automated security patching, malware scanning, and firewalls. Going even further, Managed WordPress will offer a one-click migration tool that allows customers to transfer their WordPress sites to GoDaddy easily and automatically, including all files that are needed. Many users are sure to find this tool quite useful. Prior to release, GoDaddy partnered with some in the WordPress community, allowing them to test the new service. The GoDaddy team says they will listen to their customer’s feedback and use it to continuously improve the service.